The ‘poultry and egg’ industry includes turkey farms that operate together under supply management and follow market trends to match what they grow with demand. The industry plans production to prevent surpluses or shortages. Canadians benefit by having access to a reliable supply of safe, affordable high quality Canadian turkey products. 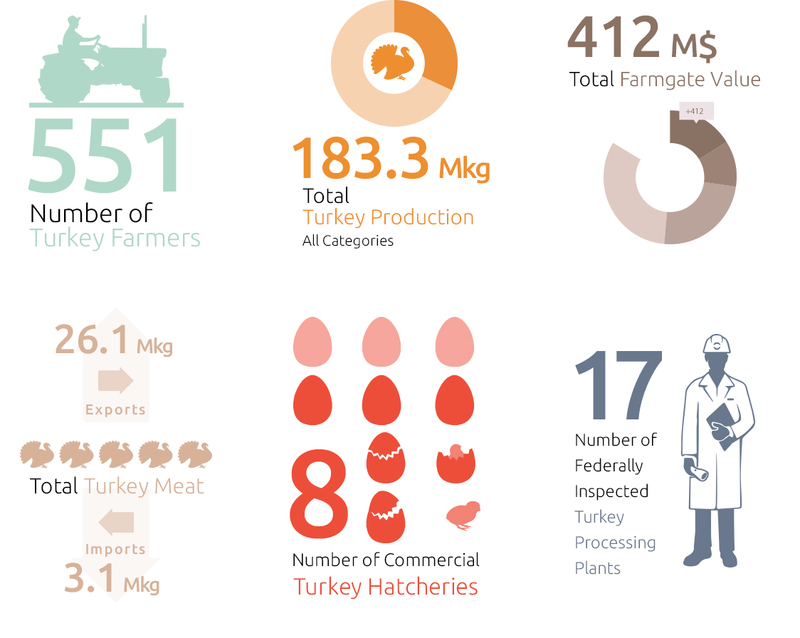 Turkey Farm Labourers perform a wide variety of tasks that depend on the type of operation. Farm Labourers are fully supervised, may operate farm machinery, and acquire skills/ knowledge through on-the-job-training. Typically, farm labourers need no formal education or prior farm experience. What are the major tasks associated to this job? Farm Labourers assist with activities related to growing, raising, and harvesting livestock. What competencies are required for this job? These competencies were identified as most important for successful job performance. What attracts people to this job? Are there opportunities for growth in this job? Turkey Farm Labourers that gain experience and learn to perform more complex tasks and activities will become an experienced Worker. With more production experience and some training courses, they can become specialized in some aspect of turkey production, or can become farm supervisors to manage a crew. What are the typical pay rates and benefits for this job? Depending on the operation and the region of Canada, pay for this job ranges, but tends to be hourly at minimum wage or slightly higher.